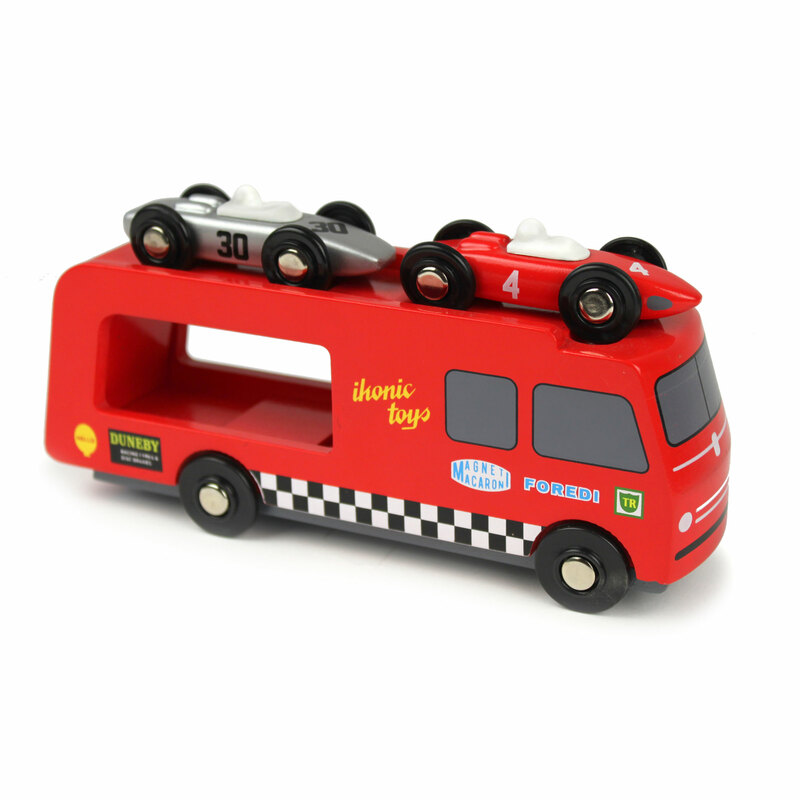 Toymaker Ikonic Toys was inspired by formula 1 from the 50's when designing this toy. In the early days of formula 1, the races weren't as sophisticated, safe and professional as they are today. 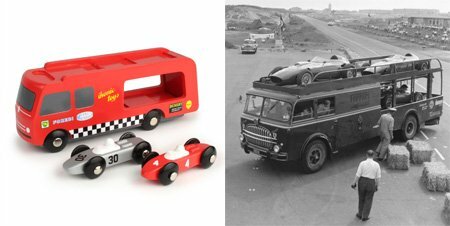 Toymaker Ikonic Toys was inspired by the nostalgia of the races and heroics of the drivers of the past, and based the design of a racing car transporter with cars on cars and trucks of this period. 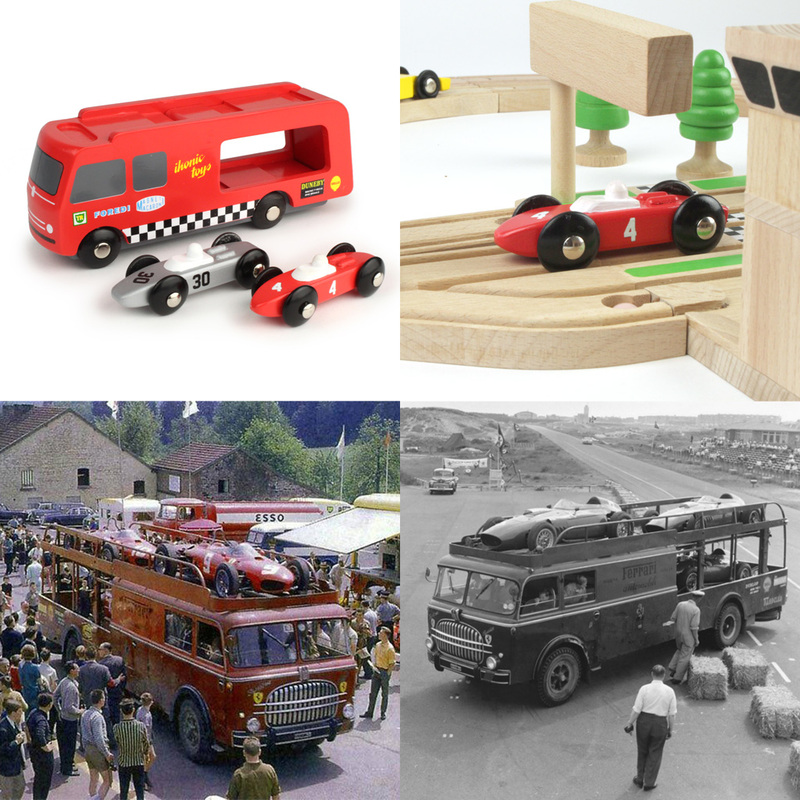 The racing cars fit on the well-known wooden railway tracks, and on a wooden race track from Ikonic Toys. More information on the wooden racing car transporter here.